Some 1 million workers could lose their employer-provided health insurance under a Republican bill (H.R. 30) passed by the House (252-172, with 12 Democrats crossing the aisle) today. On top of stripping health care coverage from those workers, the bill also would add some $53.2 billion to the federal deficit over the next decade, according to the Congressional Budget Office. The attack on the Affordable Care Act (ACA) comes just two days after Republicans approved legislation that could lead to cuts in Social Security disability and retirement benefits. Under the ACA, large employers must provide health care coverage to employees who work 30 or more hours a week or they face a penalty. H.R. 30 kicks up the 30-hour threshold to 40 hours a week. That increase, say health care experts, provides an incentive for employers to drop their 40-hour a week employees down to just 39 hours without a penalty and avoid any responsibility to offer health benefits. A UC Berkeley Labor Center study estimates there are 6.5 million people at risk of having their hours cut back under the Republican bill. That’s nearly three times the number (2.3 million) that are vulnerable to losing their hours under the current 30-hour threshold. Applying a full employer penalty for failing to provide affordable comprehensive coverage to workers who average 20 or more hours per week and adding an employer penalty on a pro rata basis for employees who work fewer than 20 hours per week. Since the ACA became law, the number of Americans with health insurance has increased by more than 10 million, with the majority of those receiving employer-provided health care. Since the law’s requirement for Americans to have health insurance went into effect a year ago, the percentage of uninsured has dropped from 17.1% to 12.9%. H.R. 30 and a companion Senate bill that Senate Majority Leader Mitch McConnell (R-Ky.) says he will have on the floor before the end of January will wipe out those gains. We’ll keep you posted on the Senate bill and how you can take action. This blog originally appeared in AFLCIO.org on January 8, 2015. Reprinted with permission. The Affordable Care Act has spurred the largest expansion in health coverage in 50 years. Over 9.5 million uninsured now have insurance! A key component to the ACA’s success was the education and outreach campaign conducted by SEIU nurses, doctors, child care providers and security officers nationwide. Members reached more than 2.4 million people over the course of the first open enrollment period through enrollment events, phone calls, door knocking and through online outreach. “People are calling back and saying, ‘I love you!’?” Efia Joseph, a 35-year-old home care worker in Fairfield, Conn., told The Washington Post. Kristen Boe of Estherville, Iowa, a stay-at-home mother in her 20s who has benefited from being able to stay on her father’s plan until age 26 then get a marketplace plan after going for two years without insurance and without needed thyroid tests. Sheri Hendrix of Grants Pass, Ore., got coverage under the Affordable Care Act after going without it for four years and that saved her from having to cover $30,000 in medical bills from a broken ankle after a fall. Jamal Lee of Baltimore, a small business owner who, before getting insured through the Affordable Care Act, traveled to another country to save costs on medical procedures. SEIU nurses, doctors, child care providers and security officers are also celebrating that this is the year many of the healthcare laws widespread insurance protections — such as the end of denials for pre-existing conditions for adults — kicked in for our family, friends and neighbors. We all benefit when insurance companies can no longer: deny coverage to people with pre-existing conditions; charge women whatever they want, whenever they want to; and cut off coverage when people are in the middle of costly treatments. Since Congress passed and President Obama signed the Affordable Care Act into law just over four years ago, SEIU has played a significant role in bringing good healthcare coverage to not only the 7 million people who have signed up through marketplaces, but also to the millions of young adults up to age 26 on their parents plans, and millions more low-income working people receiving coverage through Medicaid. SEIU’s partnership work together with the Latino Engagement Fund, the Black Civic Engagement Fund and Out2Enroll has resulted in coordinated outreach efforts by 28 organizations in 17 key counties of four states (TX, FL, PA, MI) where the highest numbers of uninsured people live. Since passage of the Affordable Care Act, extremist Republicans have spent hundreds of millions of dollars attacking the healthcare law – and refusing its expanded Medicaid coverage to 5 million people — instead of helping their own uninsured constituents find ways to get coverage. They wasted time and energy voting over 50 times to repeal, gut or dismantle the law at the expense of priorities crucial to working people: proposals to help the long-term unemployed, raise the minimum wage and pass commonsense immigration reform. Polling consistently shows that most Americans reject the GOP’s obsession with plans to repeal the healthcare law and go back to the days when insurance companies called all the shots. A recent Bloomberg poll found that 64 percent of Americans either support the law as it is or back it with small changes. SEIU members, like most Americans, know the healthcare law isn’t perfect and we want a few things about it to be improved. But we’ll oppose every effort to turn the clock back on people with pre-existing conditions and people who are getting preventive care coverage – such as birth control and mammograms – for the first time in their lives. That’s the choice many voters will have in November: between candidates who would take us back to the days when insurance companies could cancel your coverage on a whim and candidates who will make sure that a law that is working for millions of Americans will work even better for us. Republicans at many levels are running to repeal the law. But this year is much different – for the first time they are running to take away benefits that virtually every American who has health care is benefiting from. “I wasn’t really political” before starting work on enrollment, SEIU member Dee Lila Peterson, told The Washington Post. A certified nursing assistant at a Doylestown, Penn., nursing home, Peterson plans to encourage Democrats to vote in November. SEIU members know this is the year for all of us to instead deliver on the promise of the Affordable Care Act, make sure it is working for as many people as possible and expand the landmark protections it provides. This article was originally printed on SEIU on April 2, 2014. Reprinted with permission. Roberta Kenner works as a registrar at the Wyckoff Heights Medical Center in Brooklyn, N.Y., and is a member of SEIU Local 1199. In recent months she worked as a lost-timer for her local union–helping to sign up uninsured New Yorkers for affordable new healthcare options under the Affordable Care Act. As part of Local 1199’s program, the Healthcare Education Project, Kenner and her union brothers and sisters spread throughout the city with Kenner’s team focusing on the low-income areas of Queens. Members of Local 1199 were able to knock on 134,000 doors and speak to more than 36,000 residents about the new benefits available under the law. And they got results. For those people they identified as being eligible for affordable care, nine out of ten pledged “Yes” to take action by signing up with the New York healthcare exchanges. This article was originally printed on SEIU on December 20, 2013. Reprinted with permission. "A week later I got my Medicaid card in the mail, and now I have healthcare again." Elizabeth Aviles works as a Certified Nursing Assistant in Waterbury, Conn. She is also a member of SEIU Local 1199NE. Since Aviles works only 22 hours a week, she is not able to purchase health insurance, which is especially troublesome since she has some serious medical issues that require immediate attention. So when a fellow member of 1199NE knocked on her door one day as part of an outreach effort, Aviles had no idea how her life would change over the next 30 minutes. He explained how she might be eligible for Medicaid–under the expanded program the state was instituting thanks to the new healthcare law. He had Aviles dial the number to the state’s call center, and then she was placed on hold for 20 minutes. Aviles is relieved, because now she can get the medical help she needs. In addition, to an upcoming surgery she is scheduling, Aviles will be able to take care of some of the other lingering issues she has had. “At my job I’ve had to help treat clients who are suffering from back pain, when I’m suffering from the same thing myself and without the resources to get it treated,” she said. The goal of President Obama’s Affordable Care Act has always been to give people access to medical care regardless of income and without putting them into serious debt. For millions of working American’s like Aviles who previously couldn’t afford care, that goal is becoming a reality. This article was originally printed on SEIU on November 22, 2013. Reprinted with permission. Unions representing about 30,000 grocery workers in the Puget Sound region claimed a victory last week in a labor contract fight that centered on the implementation of Obamacare in the area’s biggest supermarket chains. Western Washington state locals of the United Food & Commercial Workers (UFCW) and theTeamsters have been bargaining for months with representatives from Kroger, Safeway and Albertsons, all among the largest supermarket chains in the country. In addition to the elimination of health insurance coverage for 8,000 part-time workers, the initial demands from the grocery retailers included extended wage freezes and selective elimination of overtime pay, according to Seattle-based UFCW Local 21. The workers were within hours of beginning a strike before a last-minute deal was reached on October 21. “I started working in the grocery business over 40 years ago. The proposals we saw this time from employers were some of the worst I’ve ever seen. They tried to turn us into Wal-Mart. They did not succeed,” commented Local 21 President Dave Schmitz in a formal statement issued at the end of the ratification vote October 25. Beginning Jan. 1, 2014, Puget Sound grocery workers will earn wages ranging from $9.42 an hour for newly hired checkout clerks to $19.50 for the highest-paid meat-cutters and other experienced food specialists, Geiger says. In keeping with a historical pattern in the area, this hourly rate for lowest-paid workers is 10 cents more than the state’s minimum wage (Washington currently has the highest minimum wage in the country at $9.19 and hour with a scheduled rise to $9.32 at the beginning of 2014). Rather than a general wage increase in the contract’s first year, each union member will receive a bonus payment based on the number of hours they worked over the last year. In the second and third years of the three-year contract, most union members will get a straight wage increase of 25 cents an hour each year. Because the Affordable Care Act requires many companies to pay more for employees’ healthcare, grocery worker unions across the country are facing stiff concessionary demands as their employers make the transition. Early this year, New England UFCW locals reached an uncomfortable compromise with the large Stop & Shop grocery chain that was similar in some ways to the Seattle agreement. In that case, UFCW agreed to eliminate healthcare eligibility for some part-timers, but only on the condition that the supermarket company provide financial and legal assistance in obtaining similar healthcare coverage from other sources for the dislocated workers. And similar contract struggles still under way in New York, Cincinnati, Baltimore, andWashington, D.C. show that union leaders nationwide are facing unusually heavy pressure as grocery chain corporations frequently try to cut their own costs at the expense of healthcare for employees. This article was originally printed on Working In These Times on November 6, 2o13. Reprinted with permission. "Something Good, You Always Have to Have a Little Patience"
Cecelia Fontenot works part time as an accountant for a trucking company in Houston Texas. She was laid off from her current job back in 2008, and has been without health insurance ever since. After a brief retirement, she had to return to the workforce because her widow’s pension wasn’t enough to cover her medical expenses. But Fontenot’s current job doesn’t provide her with health insurance, and recently she had to stop buying a drug for her diabetes because she couldn’t afford the $300 per month. Like many people, website problems prevented Fontenot from enrolling in the healthcare exchanges on the first day. But that didn’t stop her. “Something good, you always have to have a little patience,” she says. Activists from the Texas Organizing Project–an organization affiliated with SEIU Texas and the Fight for a Fair Economy–encouraged her to sign up for health coverage through the telephone call center of the federal marketplace. Fontenot is now looking forward to Jan. 1 when the health care kicks in for new enrollees in the exchanges. Several times Cecilia hasn’t been able to afford the second mammogram that her doctors recommend after finding a lump. She has been getting by with prayers, but with insurance she’d be able to get that second mammogram. This article was originally printed on SEIU on November 1, 2013. Reprinted with permission. On Friday afternoon, following a major labor convention at which many union leaders forcefully advocated revisions in the Obama administration’s interpretations of the Affordable Care Act (ACA), the Treasury Department released a letter that effectively dismissed at least one of labor’s key demands. A major concern at the quadrennial AFL-CIO conference in Los Angeles this week was the ACA implementation looming in October, particularly the exclusion of multi-employer health plans—which are jointly administered by unions and employers in many industries—from the state health exchanges. UNITE HERE, the United Food and Commercial Workers and the Teamsterswere particularly concerned because many of their members use the multi-employer plans. As the administration had promised, President Obama met on Friday with a labor delegationheaded by AFL-CIO president Richard Trumka to discuss labor’s request for administrative changes to address their problems with ACA. Obama told the delegation that their multi-employer union plans would not be eligible for participation in the exchanges, according toForbes. Then shortly afterwards, the Treasury letter, addressed to Sen. Orrin Hatch (R-Utah), came to public attention. Hatch had previously written to the Treasury asking if they agreed with him that multi-employer plans should be kept out of the exchange. Originally made possible by the predominantly anti-labor Taft-Hartley law in 1947, the multi-employer, non-profit plans allowed workers in fields such as construction—who may work in short stints and for multiple employers—to have a steady source of insurance. Union analysts think the lack of subsidies will put Taft-Hartley plans at a disadvantage, incentivizing employers to abandon the plans and buy insurance directly from exchanges. This would leave workers in the lurch when they are between jobs. The Taft-Hartley plans would also be put at other disadvantages in the new insurance market. Even though the non-profit multi-employer plans have never discriminated on the basis of pre-existing conditions, they will still have to help pay for for-profit insurance companies to newly cover people previously excluded on this basis. Unions argue that this arrangement unjustly increases the costs of their Taft-Hartley plans. Some union plan officials also want more time to adjust to the cost of eliminating caps on how much any insured individual can receive in insurance payments over a year or a lifetime. There are other concerns, ranging from insurance requirements for federal contractors to definitions of part-time workers, for whom employers do not have to provide insurance. Most union leaders have not commented on the letter. Staff-level talks between unions and the administration are scheduled for this week, and many leaders apparently still hope to salvage some ACA reforms, even if they don’t win everything. Union passions on the subject run hot, and some leaders, such as LIUNA president Terry O’Sullivan, wanted the AFL-CIO to pass a resolution at the conference calling for the repeal of the ACA if the administration did not agree to reforms. Instead, the resolution endorsed single-payer insurance as labor’s ultimate goal, but called for improvements in the ACA (and in Medicare as well). Meanwhile, most unions appear ready to continue negotiating with the Obama administration and see what they—like big business, which won huge exemptions recently (notably a year delay in implementing the key mandate to provide insurance)—can finally win from their frustrating talks. This article was originally printed on Working In These Times on September 18, 2013. Reprinted with permission. 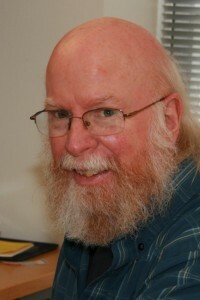 About the Author: David Moberg is a senior editor of In These Times, has been on the staff of the magazine since it began publishing in 1976. Before joining In These Times, he completed his work for a Ph.D. in anthropology at the University of Chicago and worked for Newsweek. He has received fellowships from the John D. and Catherine T. MacArthur Foundation and the Nation Institute for research on the new global economy. If you don’t already know, the Affordable Care Act (“ACA”), a/k/a Obama Care, does not take effect all at once. (I say “if you don’t already know,” because a recent poll shows that 42% of Americans are unaware that Obama Care is currently the law of the land). Title I of the Act, which is considered one of the most controversial parts of the Act, does not take effect until next year. Once it takes effect, employers may not make employment decisions based on an employee’s health care decisions. Employers will, of course, make decisions that impact employees negatively, because the ACA will increase employers’ costs and responsibilities associated with health care. This is why employees need to be aware of their new rights. You have probably heard about the many employers who have started cutting employee hours to evade having to comply with Obama Care. If you’re one of them, you’re out of luck. The law doesn’t protect you yet. Received a credit under section 36B of the Internal Revenue Code of 1986 or a cost sharing reduction under section 1402 of the ACA. If an employer retaliates against you for engaging in any of these activities after January 1, 2014, you may file a complaint with the Occupational Health and Safety Administration(“OSHA”). OSHA has a broad range of powers to help employees combat the “evildoer” employers, including the powers of investigation, enforcement, negotiation, settlement, and the ability to award damages. The employee’s first, and critical step, is to file a claim with OSHA within 180 days from the date of retaliation. Unlike most employment discrimination cases, the standard for proving retaliation in these cases is much more employee-friendly. You only need to demonstrate you had a reasonable belief that the employer was retaliating against you. Further, you will only need to provide evidence that your health care decision was a factor in the retaliation, not the only factor in retaliation. Hopefully, employers will have a much more difficult time defending against these types of discrimination cases. With any luck, this will deter them from violating the ACA in the first place. This article was originally printed on Screw You Guys, I’m Going Home on May 10, 2013. Reprinted with permission. 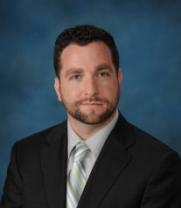 About the Author: Ryan Price is an Associate Attorney at Donna M. Ballman, P.A., Employment Advocacy Attorneys. You are currently browsing the archives for the Affordable Care Act category.